Who Inspires You to Live Healthy? Life isn't always full of positive inspiration. Often, lies or hurtful words can sneak into our minds. Things like you're never going to make it, why even try, just give up, you're crazy, you can't do that, you're just wasting your time, what does it matter anyway! We all battle some sort of negative thoughts on a daily basis. To combat those negative thoughts, we can choose to think of whatever is true, whatever is noble, whatever is right, whatever is pure, whatever is lovely, whatever is admirable — if anything is excellent or praiseworthy—think about such things (Philippians 4:8). Hold closely those special people who inspire you; who motivate you and spur you on to be your best. See the good in others, encourage and motivate others to be their best, too. Chances are, you are an inspiration to someone else and you don't even know it! So WHO (or WHAT) Inspires You to Live Healthy? Motherhood // Being a mom isn't an excuse to give up on your health. It's even more reason to eat healthy and to make time for exercise. You need all the extra energy possible to take care of your family! Remember, little eyes are always watching and learning from mom and dad's habits (good or bad!). This Pregnancy // God has given me the ability to make decisions that impact my health and the health of our baby. Making healthy choices isn't just about doing what is best for my body anymore - it's about doing what is best for our baby's health, too! The Spiritually Strong Study // We are starting study week 4 and I have learned so much about the different spiritual disciplines! Healthy living does matter to God because our bodies belong to Him. We are God's workmanship and He has given His children new life in Jesus Christ to do good (Eph. 2:10)! "No excuses" people inspire me! Here's a little extra inspiration for your Tuesday. In the "Healthy Living" chapter of her book Spiritually Strong: The Ultimate 6-Week Guide to Building Your Body and Soul , Kristen Feola shares some of the benefits of physical exercise that are sure to motivate. Strengthen your bones and muscles. Our bones and muscles adapt to the stresses and strains placed on them. When you push your body through physical exercise, muscle mass increases and results in greater overall strength for your body. Control your weight. Regular exercise enables your body to use excess calories for energy. You need to perform an aerobic exercise for 20 minutes+ to use your body's fat stores. For exercise less than 20 minutes, your body uses energy stored from the food you ate during the day. Help prevent health conditions and diseases. Regular physical activity is shown to lower blood pressure, improve blood circulation and cholesterol levels, prevent or reverse type 2 diabetes, reduce the risk of stroke, decrease the risk of heart disease and cancer, and enhance your immune system. Lift depression. Research suggests that burning 350 calories three times a week through sustained physical activity can reduce symptoms of depression almost as effectively as antidepressants. Improve learning. Exercise increases the level of brain chemicals (or "growth factors") that help to make new brain cells and establish additional brain-cell connections that enable us to learn. Promote better sleep. If you have trouble sleeping at night, try exercising regularly for more restful slumber. Avoid working out too close to bedtime as the increase in your metabolism may make it hard to fall asleep. Boost your energy. Physical activity delivers oxygen and nutrients to your tissues which makes your cardiovascular system work more efficiently. This results in more energy for your body! Who or what inspires you to live healthy? Patience. Joy in the right now. Presence. That's my focus for the next two months. 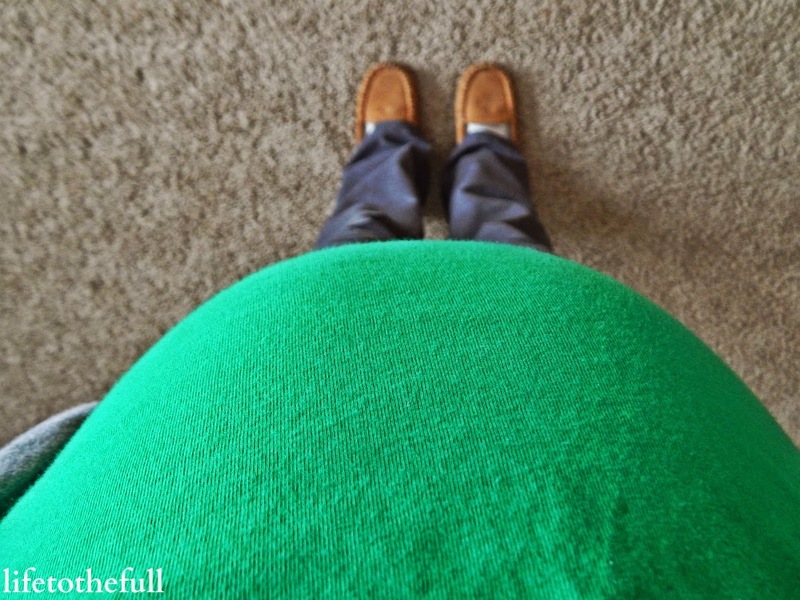 Week 30 is here and I'm feeling a tad bit impatient, like pregnancy has gone into slow motion in the third trimester. I am so excited to meet and cuddle our baby! I miss cuddles now that E is getting so independent. Plus, I'm dying to find out if we have a baby boy or girl! Whew, breathe. Until week 37+ comes, I need to just calm down, enjoy the miracle of growing a baby, get some sleep while I can, and have patience in knowing this is God's will for my life right now! Take life one day at a time. Yes, I'm still running. Though it may look more like wogging (waddling + jogging). My weekly runs are 3 to 4 miles and I'm sticking to the 10:00-minute-mile zone or slower now. My energy level is feeling pretty low lately so I'm listening to my body and am just thankful to be able to run! I've been opting for the treadmill this week because the weather has been windy and snowy. Pushing the stroller isn't bad on a non-windy day, but it's too much for me with any extra weather resistance! Thank God for treadmills! Regular stretching and strength training are part of my weekly routine. Strength training is making my arms stronger - you know, to push that double jogger later this year! - and also keeps my core strong, therefore preventing back pain. Stretching has kept my hips from tightening up, too. Post-run fueling and hydrating are a must! My appetite seems to decrease as my belly gets bigger (probably due to stomach squishing?) so I do my best to eat smaller meals or snacks throughout the day and choose foods with some nutritional value. 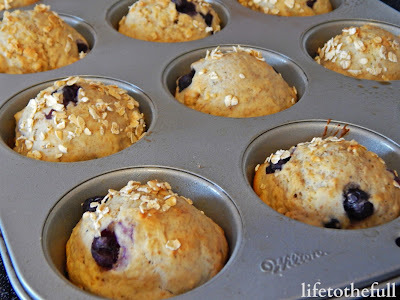 Instead of downing a bag of potato chips, try a homemade blueberry banana muffin instead! I'm drinking plenty of water while working out and throughout the day. Drinking water is a big deal, especially for active pregnant women who... sweat (or "glisten"). And here's my pregnant running secret weapon: the Gabrialla Elastic Maternity Support Belt! This belt done wonders through both of my pregnancies and I wouldn't run without it. Wearing a maternity belt while running helps to support that growing belly and my back as well. Keep running. 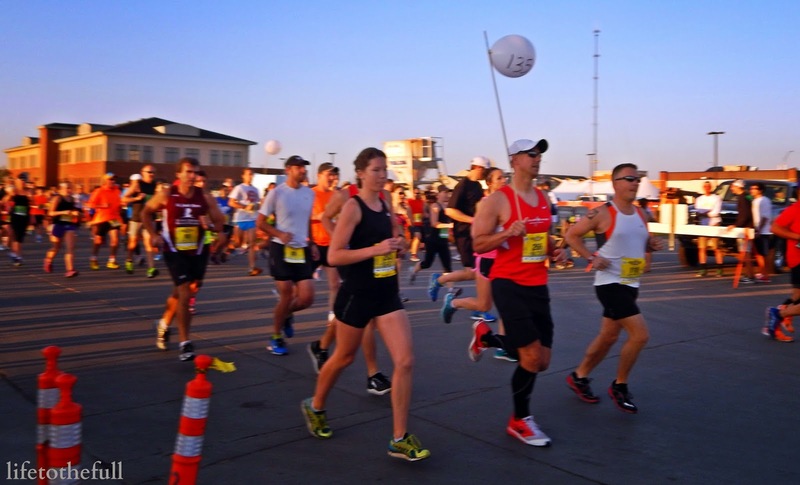 Running can help decrease the risk of gestational diabetes, preeclampsia (high blood pressure), macrosomia (large babies), long labor and delivery, and it can help speed recovery after your baby is born. Most women can continue to exercise in the third trimester. 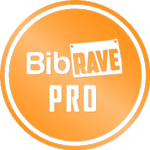 Many are still able to run, but weekly mileage and pace are very individualized at this point. Fatigue, contractions, bladder issues, pelvic pressure/discomfort: See the tips in my second trimester post. Joint pain/ligament instability: Wear an abdominal supporter or possibly limit exercise to low impact. Low amniotic fluid: Your may need to rest more and increase your fluid intake. Low weight gain: You can have the growth of the baby checked by ultrasound. You may need to rest more and drink more fluid. Baby's Size: Cucumber, average fetus size: 15.2 to 16.7 in, 2.5 to 3.8 lbs. Cravings: Leo's homemade sourdough waffles with honey and sliced bananas for every meal, please. Oh, and I'll take some chili with cheese and Greek yogurt, too. Aversions: Heartburn, venison, obnoxiously loud noise. The usual. I'm Feeling: Mood swings hit me like a bus this week... I'm blaming it on the snow returning. Baby is busy rolling around, kicking/punching and hiccuping. I'm feeling more tired now but, running-wise, my body is feeling great. I have the occasional Braxton Hicks contraction as my body is gearing up for labor! Baby has been so kind to sit up higher in my belly to relieve some of the bladder pressure. Sleep: Energy levels are plummeting lately and I could go to bed at like 8 pm every night. Life doesn't work like that, but it's what I feel like doing! Weight: Up 20 lbs from pre-pregnancy weight. My Prayer for Baby: "Lord, thank You for another baby appointment and for the blessing of hearing our baby's heartbeat again! I am so thankful for baby's health and my health in this pregnancy and for all of the support from Leo and our sweet midwife. I pray that You continue to guide baby's development and give us all peace as baby's due date approaches. Give me patience and a heart of gratitude to enjoy these moments of pregnancy! This very moment is Your will for my life and I want be joyful and fully present in it! Amen. " Monday: 3.02 treadmill miles, 9:56/mile. Wednesday: 3 treadmill miles, 10:10/mile. Feeling tired today! Friday: 3 treadmill miles, 10:11/mile. Tired again. Saturday: 4 treadmill miles, 10:11/mile. Is it actually Spring in your part of the world? 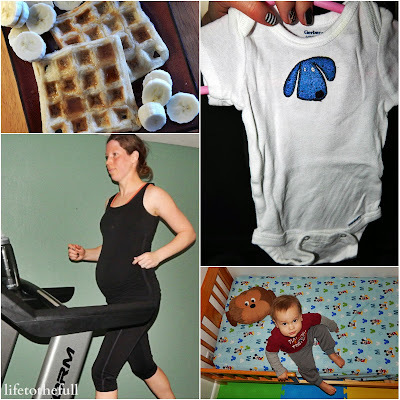 What tips would you add for third trimester running? 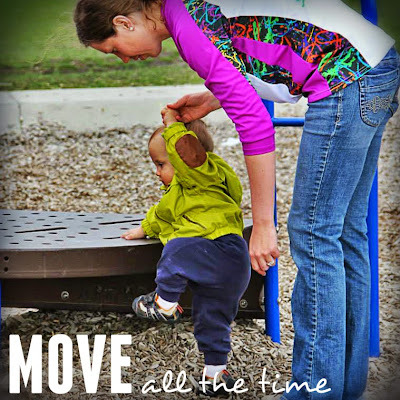 Linking up with Fitness Friday and Mommy Moments. View more tips for running in the first trimester and the second trimester. We had a wonderful baby appointment with our midwife yesterday and the countdown is down to only 10 weeks until baby's "birth day"! Energy level is decreasing; Belly size is increasing. Newborn outfits are sorted out; Toddler bed is set up. Miles are run slowly but surely. And Leo's sourdough waffles taste extra amazing. My goal for the next 5 weeks is to prepare healthy freezer meals and snacks for the family. My mom was the meal-freezing all-star with my first pregnancy and I hope to follow in her footsteps this time! Freezer meals are so easy to just pop in the oven and they are a healthier choice than fast food. When you're exhausted, running short on time and/or you just don't feel like cooking, freezer meals are the way to go! 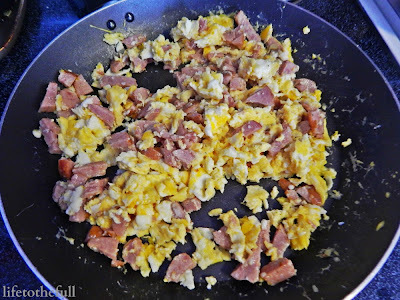 Here are a few of my favorite freezable meals. While I hope to get a few of these made before baby comes, I can't guarantee that I'm going to get through everything on this list. Our freezer space just won't allow it! What is your all-time favorite freezer meal? I'm loving the sunshine and the warm weather this spring! After a gorgeous weekend and lots of family time, it's not always my favorite to jump into another Monday but I do love that it's time for another Fit Dish link-up with Jessica, Jill and the #fitfam! This week's [optional] topic is "Be Present: Do You Live in the Moment?". My #1 Biggest "Being Present" Killer is: Distraction. "Anything that diverts your attention from your God-given task, pursuit, or dream is a distraction. But every step you take farther along the path God’s placed you on will make His voice all the clearer about the future." Worrying about checking everything off the To-Do list distracts me from the precious moments of playing with my son. Choosing commitments that aren't in line with my God-given purpose leads to a busy, stressful life. Overbooking the week leads to less family time and being in a constant time-crunch and low on sleep makes me unpleasant to be around when we do have family time. Be Selective with Your "Yes". A busy, jam-packed schedule is not conducive to being present! When asked to commit to something, determine if this will be a positive addition to your life or a negative distraction. My goal is to first ask God if this is something He wants me to pursue, check the calendar to prevent over-booking, talk with my husband and then answer! Cutback on Commitments for a Season. It's okay to say "no" to some commitments - whether long term or just for a season. With our second child planning his/her arrival in a couple months, life is going to change dramatically. We will need time as a family to adjust to this huge change and that means cutting back on commitments if necessary. Steer Clear of the "Busiest Contest". People like to compete to see who is busiest, as if there is some honor in running yourself ragged. When a conversation like this pops up, I find it best to sneak away quietly: "I am soooo busy..." "Oh, you're busy? Well, I have _____. I'm SO much more busy!" Busy ≠ Important. Contrary to what the world believes, being busy does not make you important! Instead the chaos of a busy, distracted life keeps you from living in the present moment and enjoying the people around you (or maybe even the peace and quiet). Take Notes. When my mind is distracted from the moment at hand, I take a quick second to write down whatever is distracting me. Once whatever was bugging me is down on paper, I feel like my mind is free and then I can fully focus again. Maybe that's weird, but it works for me! Double the diapers to change (and more pressure to potty-train toddler). Avoiding grocery trips with both kids at all costs for at least a month or two. Actually accepting help when people offer. One blog post a week if I'm lucky. Balancing breastfeeding the baby while doing a puzzle or reading a book with the toddler. Taking a couple months off playing piano at church. Running in the wee hours of the morning or on the treadmill if both kids nap. Sitting in the backyard with baby sleeping and toddler burning off energy. Making sure I pay attention to both baby and toddler! With all of the craziness to come, I know I'm going to miss these years - dirty diapers, baby spit-up, toddler tantrums, sleepless nights and all. Our first "newborn" is now two years old already and I wouldn't mind if time slowed down just a little. When he's 18, I'm really going to miss all of our book-reading, stroller-pushing and cuddle times. What helps you to be present each day? What keeps you from living in the moment? I have heard that line countless times but now I really believe it. In the same way that our children will have totally unique personalities, each pregnancy has it's own unique characteristics, too. 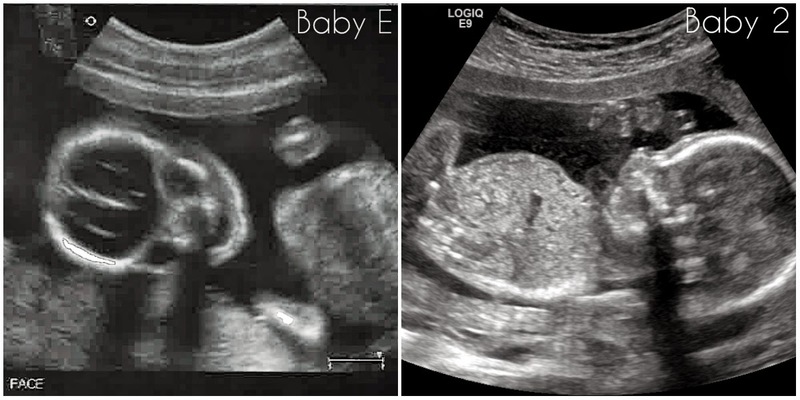 I have been amazed to see the differences and similarities between our two babies. Belly Size: Showing Sooner, Measuring Bigger. Though my weight gain is now close to identical to my first pregnancy, I have been measuring ahead with Baby #2. The growth is starting to even out as I'm measuring only 3 weeks ahead now versus the 6 weeks ahead at our 15 week appointment! We only have 3 bump pictures from the first pregnancy so I have been much more intentional with pictures this time around. 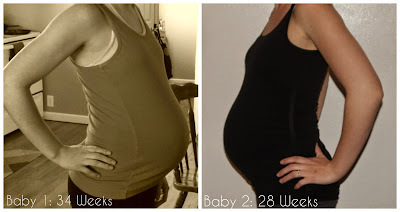 The nine months flies by way too fast and it's fun to look back at the bump pictures... though it is a little scary to see how much bigger my bump is this time at 7 months pregnant! Activity Level: Go, Go, Go. My day job has changed significantly since my first pregnancy. With Baby #1, I had a desk job - sometimes a standing-desk job - and headed to the gym after work. 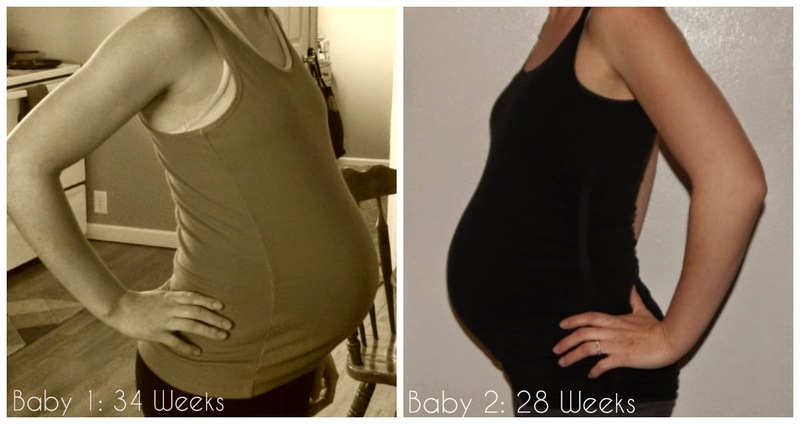 With this pregnancy, just moving during the first trimester was a struggle for me. I'm not sure if my morning sickness was that much worse or if taking care of E just took that much more energy out of me! Being a toddler's full-time caretaker has me on my feet most of the day and the days are very active. At nap-time, I am being intentional to take some time off my feet, drink water and just rest. Prenatal Appointments: Less Frequent, More Personal & Supportive. We had two ultrasounds with the first pregnancy - 9 weeks & 20 weeks - and one with the second pregnancy at 20 weeks. With both pregnancies we have kept baby's gender a surprise! Working with our midwife has been a wonderful experience! Compared to our prenatal appointments at the hospital, our visits have been less frequent in the first and second trimesters, more personal and leave me feeling much more confident in my body's ability to grow a baby. Though she is super busy, our midwife allows more time for appointments and she takes the time to get to know me, our baby and E, too. 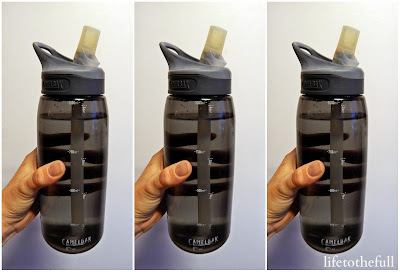 Hydration: More Water, Water, Water! Hydration is a big deal in pregnancy! Being a little dehydrated as a runner isn't an alarming problem... unless you're pregnant. In my first pregnancy, dehydration in the third trimester led to a urinary tract infection with preterm contractions at 33 weeks and preterm labor at 35 weeks. Water intake recommendations differ from varying sources but the rule I go by is to drink half of my body weight in ounces daily. That means a woman weighing in at 125 lbs. should drink about 63 oz. per day. Now add pregnancy to that and the recommended water intake increases. Livestrong recommends that pregnant women drink an additional 8-ounces for every hour of light activity. As a very active pregnant woman, that means I'm drinking around 90 oz. of water per day or about 3 of my water bottles. That sounds like a lot but it goes down easy - my body I craves water right now! Pregnancy Fitness: More Strength, Less Running, No Hip Pain. I'm doing more strength training and less running with the second pregnancy. The combination of 2 days of strength training plus 4 days of running has kept me in better shape than my first pregnancy and my hips are pain-free! Stretching and rolling out my hamstrings has helped to keep my hips from tightening up this time. 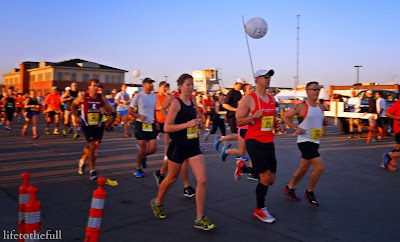 During my first pregnancy, I ran about 5 days a week - including a 6-mile "long run" on the weekend and occasional runs with the local running group. 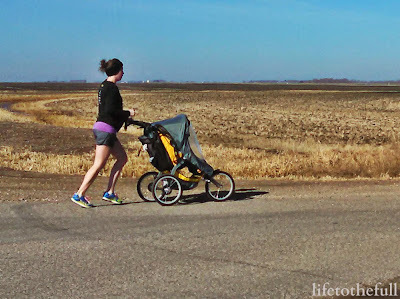 For this pregnancy, the farthest I run is 4 miles and my outdoor runs now involve pushing our toddler in the jogging stroller. Emotions: Thankful, More Confident, Still Anxious. First pregnancies bring on a lot of advice - some is helpful and some could be left unsaid. 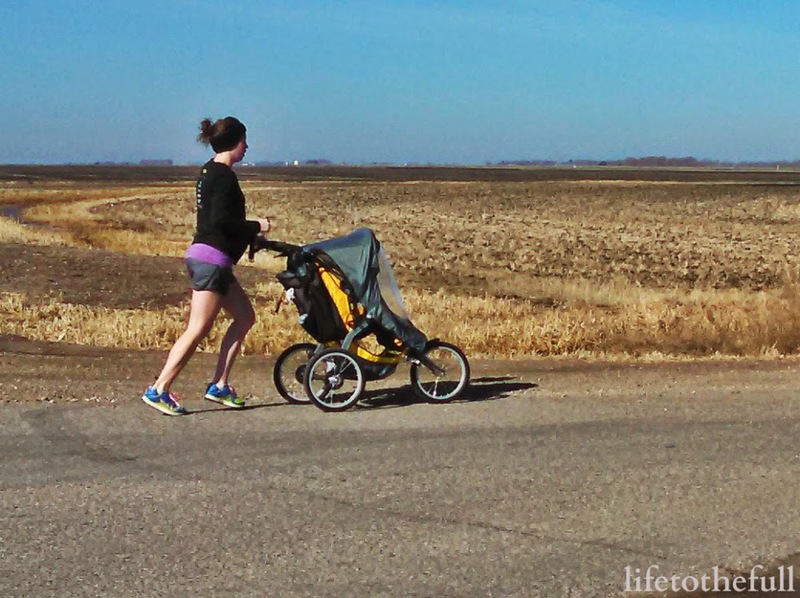 Countless times I was warned that I wouldn't be running when I'm __ weeks pregnant, how miserable they were while pregnant, their labor horror stories and how dog-tired I would be once the baby arrived. Basically enjoy your pregnant misery because it's only getting worse! Thank God everyone's pregnancy and motherhood experiences are different! 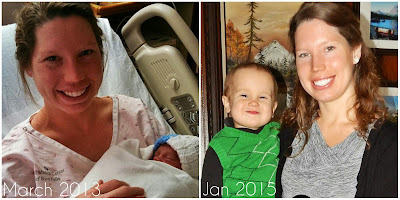 My first pregnancy was actually enjoyable (most days) and labor/delivery was far from a horror story. 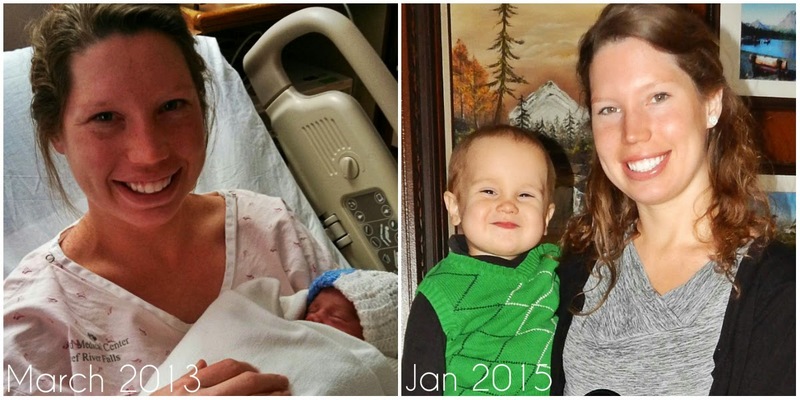 Life with a newborn was totally energy-draining but, after a couple weeks, it got better. And motherhood has only been getting better and better since then. When I think of how much we prayed for this pregnancy, I can't help but thank God for another baby - no matter how sick or tired I am! Now I DO feel more confident in my mothering abilities and I love being a mom. I have grown to love staying at home with E and am excited to add another baby to our family. Sometimes I feel anxious when I think about being a mom of two but the only way I'm going to learn is to just go for it. I trust that God will give Leo and I all the strength we need! Baby's Size: Eggplant, average fetus size: 13.6 to 14.8 in, 1.5 to 2.5 lbs. Aversions: Pizza (unless it's homemade), fried food and fast food in general. All of it equals heartburn. I'm Feeling: My belly is really out there and Baby is very active all day and especially at night! He/she has nailed me in the bladder a few times and that sure is something. 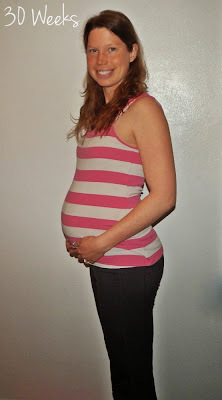 The shirts that fit at the end of my pregnancy with E aren't working so well at 7 months pregnant! The emotional rollercoaster has returned lately - I figured my hormones must be doing something crazy. When in doubt, blame it on the hormones. Sleep: I'm really good at sleeping and could always use more of it. A middle-of-the-night bathroom trip is a requirement now. Weight: Up 18 lbs from pre-pregnancy weight. My Prayer: "Lord, thank You for Baby's and my health as we begin month 7 of this pregnancy. Thank You for caring about each and every details of our lives, starting at conception! I know that this Baby and my family is in Your hands - and that is the best place to be. Continue to watch over our Baby as he/she is growing and developing so rapidly. Prepare him/her for the big 'birth day' and I pray that day comes in Your perfect timing. Be with E as he is growing and learning every day and give Leo and I wisdom in marriage and raising our children. Give our family the courage to resist conforming to this world. Transform us and renew our minds so that we will live boldly for You and in Your will! " Monday: 3.4 miles w/ jogging stroller + dog, 10:11/mile. 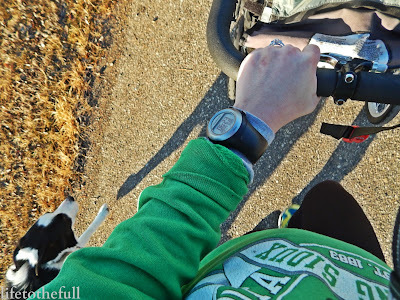 Wednesday: 3.31 miles w/ jogging stroller + dog, 10:28/mile. Thursday: 3.25 miles w/ jogging stroller + dog. 10:27/mile. Saturday: 4.02 miles with my husband pushing the stroller! 10:11/mile. What was your favorite or not-so-favorite part of pregnancy? 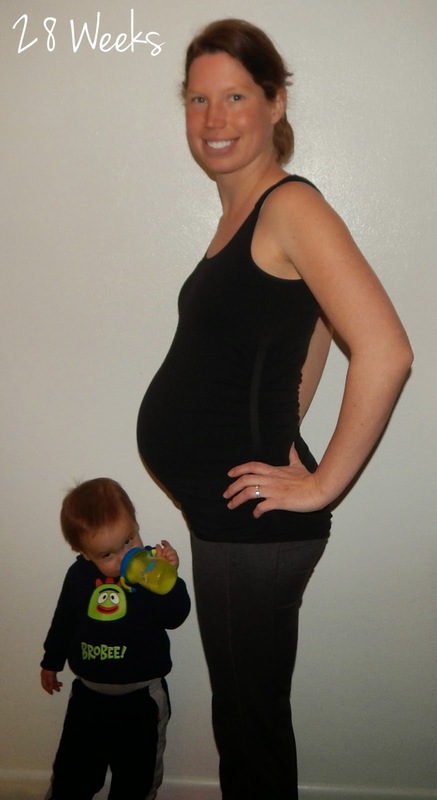 Parents of 2+ kids, what differences did you notice in your pregnancies? Linking up with Jill at Fitness Friday and Faith at Mommy Moments. 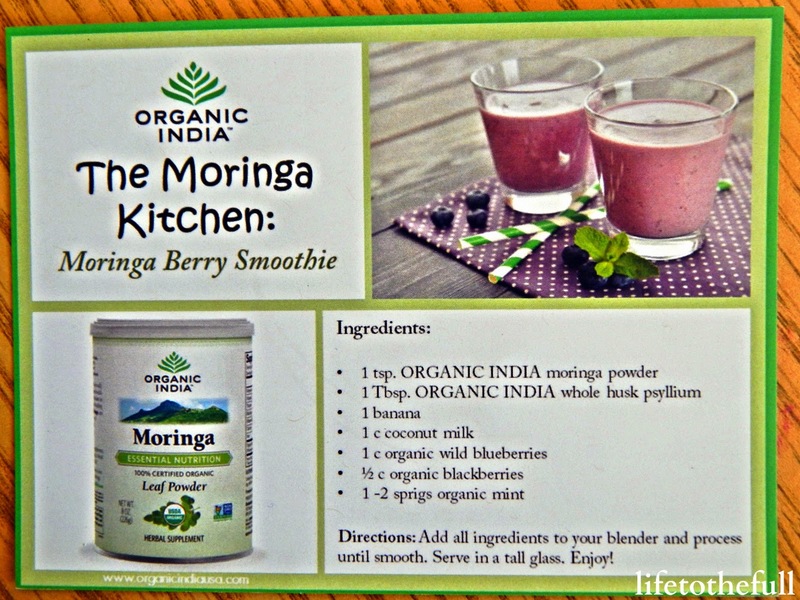 Organic India Moringa Leaf Powder & Capsules Review + My New Favorite Tea! 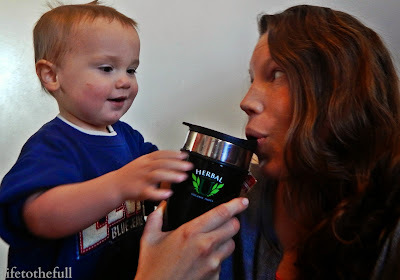 As a Moms Meet blogger, I was selected to review ORGANIC INDIA's Moringa Leaf Powder and Capsules. When the ORGANIC INDIA box arrived in the mail, I was so excited to check everything out! 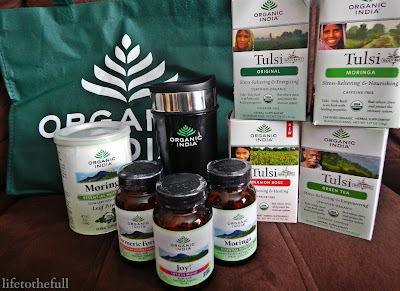 Along with a container of Moringa Leaf Powder and capsules, ORGANIC INDIA also sent me a stylin' mug, 4 different flavors of tea, an assortment of recipes and 2 more supplements to check out. Of course, I had my trusty sidekick's help in sorting through the variety of products! 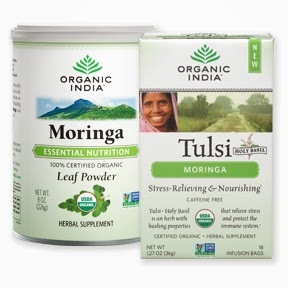 ORGANIC INDIA Certified Organic Moringa products are made from the powdered leaves of the Moringa oleifera tree. This amazing tree is native to India and has a rich history of traditional use. Moringa is a nutritionally complex whole food naturally abundant in vitamins, minerals and amino acids. Dried moringa leaves concentrate nutrition so even a small dosage can add a lot to your diet. Moringa contains all 18 amino acids -- the building blocks of protein and energy in the body. High in B vitamins, Moringa is also an excellent supplement for stress management and vegetarian dietary support. These tiny leaves do a super food's job! ORGANIC INDIA Moringa is USDA Certified Organic, Non-GMO Project Verified, Kosher and Halal certified, gluten-free, and vegan. You can sprinkle Moringa Leaf Powder in soups, smoothies, and over salads, or combine it with almost anything to create a power-packed punch of nutrition. 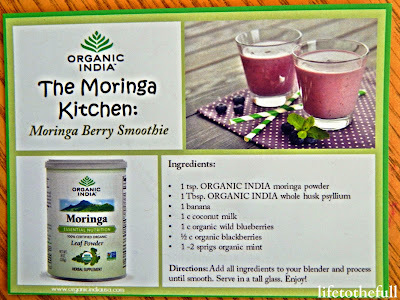 After this pregnancy, I want to try this Moringa Berry Smoothie recipe! **Talk to your doctor or midwife if you are pregnant or nursing before trying moringa powder. 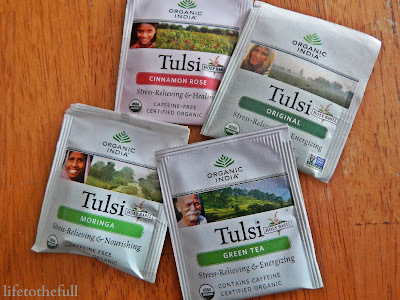 ORGANIC INDIA also offers a wide variety of quality, organic teas. They generously sent four boxes to try. The caffeine-free Cinnamon Rose tea was by far my favorite! 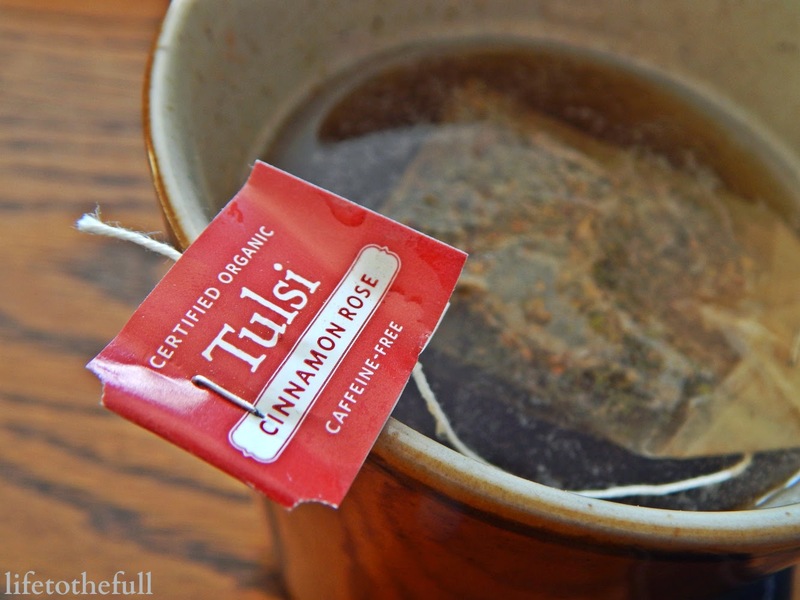 The Cinnamon Rose tea has a deep, rich cinnamon flavor plus just a hint of rose. 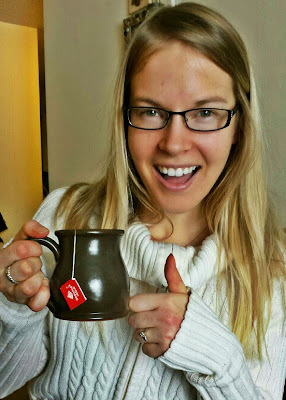 E had to make sure I drank all of my tea (love that mug!). I am limiting my caffeine intake while pregnant so the caffeine-free Cinnamon Rose is perfect for me! Have you tried any of ORGANIC INDIA's products before? Stop by the Organic India website to browse more of their quality products or catch them on Facebook, Twitter, Google+ and YouTube. 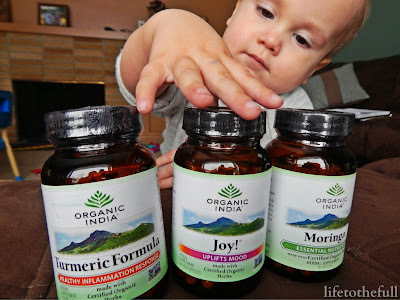 Thank you to Moms Meet and Organic India for this product review opportunity! Disclaimer: I received this product for free from the sponsor of the Moms Meet program, May Media Group LLC, who received it directly from the manufacturer. 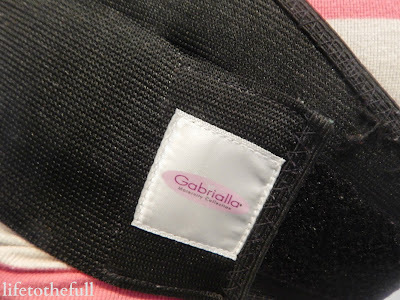 As a Moms Meet blogger, I agree to use this product and post my opinion on my blog. My opinions do not necessarily reflect the opinions of May Media Group LLC or the manufacturer of this product. 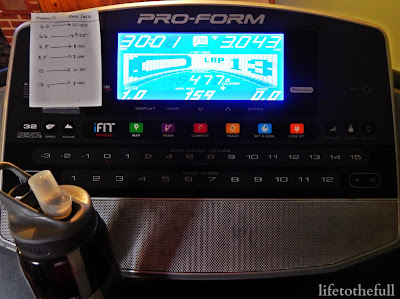 Linking up with Jill at Fitness Friday. Sunshine brings an instant smile to my face. 3.4 miles down and, who knows, maybe I got a little sunburn :) The dog trails behind us after the first mile as he's a bit out-of-shape after this winter. E passed out at about .5 mile. Even at 2 years old, he is still my stroller-napper! The 20-miler is the most daunting workout for me personally when training for a full marathon. Why? Well... usually I end up doing them solo and that means I spend 3 early morning hours stuck with my own thoughts. That can be scary! Some 20-milers have been awesome times of prayer and time alone with God. Other 20-milers have been mental struggles to just keep my feet moving or sometimes physical struggles battling GI issues. Wonderful. Just for today, let's pretend that I could recruit 5 people to run a 20-miler with me the next time I'm training for a full. My Husband. Assume we found a babysitter and that's like a 3-hour date! Wowza. I would love to run 20 miles with Leo as long as he promised to talk with me. He's a non-talkative runner and I am an overly-talkative runner... so sometimes that just doesn't work. While we were dating, he put up with so many long run miles. He's awesome! Janae, a.k.a. Hungry Runner Girl. 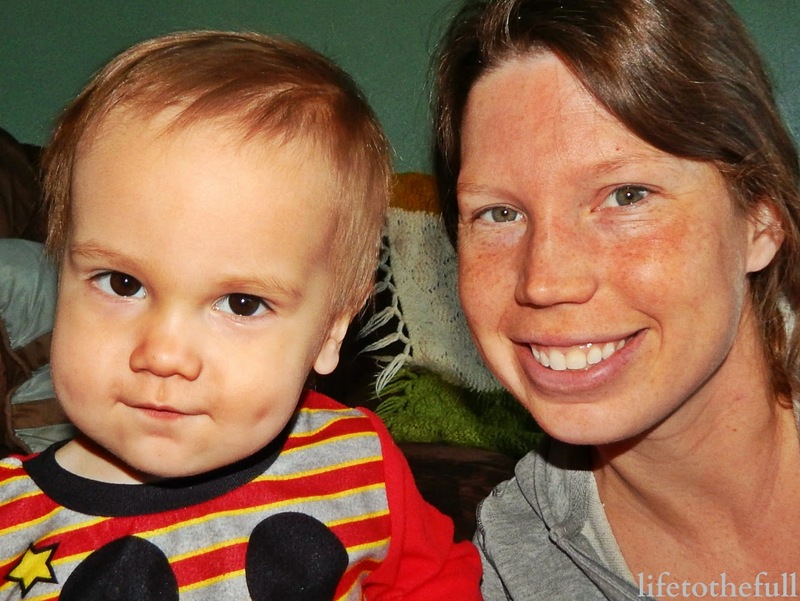 She writes on one of my favorite blogs that happens to be the first running blog I ever read! Plus, Janae is a very speedy marathon runner and a toddler-mom on top of that. On a 20-miler, we could discuss important matters like potty-training, marathon training, writing and doughnuts. That is, if I could even keep up with her. The #fitfam. How fun would it be for all of the #fitfam bloggers to run (or bike, rollerblade, etc.) together? I'm just guessing that the talk would be non-stop, we would stay super motivated and there would be a lot of fit to be dished! Carrie Tollefson. Carrie is an Olympian and mom of 2 from Minnesota. Some of my favorite strength training and running workouts are on her website, C Tolle Run. If she would slow down enough for me, I know she could give me a million tips on marathon training like an elite and parenting. Kristen Feola. She's the author of the book, Spiritually Strong, and is leading the online Bible study that just started this week! On the run, I would want to hear all about her faith in the Lord, her book-writing journey, becoming a personal trainer and how God has guided has guided her passion for fitness and ministry together. If you could pick anyone in the world, who would you like to workout with or be trained by? 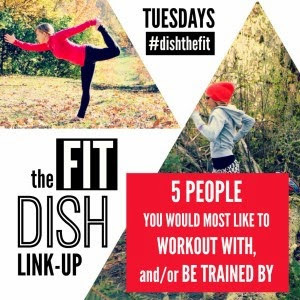 Linking up at the Fit Dish. It's Friday already!? This week flew by and I have a whole lot of favorites to share with you. Make sure to stop by the Fitness Friday and Mommy Moments link-ups! 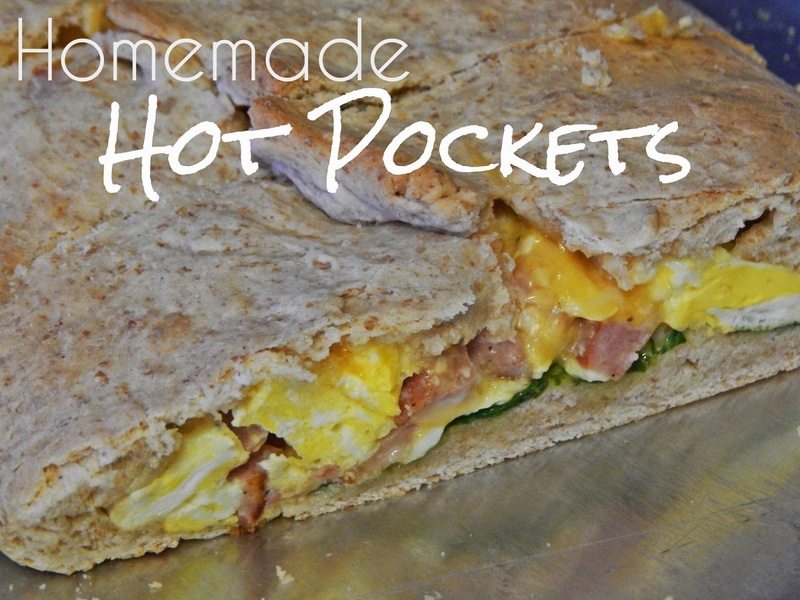 Let's start off with our family favorite recipe >>> Homemade hot pockets are a hit with all of us because the toddler will actually eat them, my husband approves and I'm happy with any opporutunity to sneak veggies in. 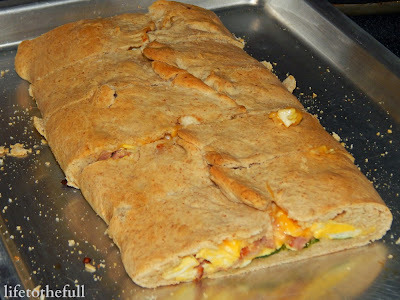 Plus I love the homemade bread crust. The recipe easy-to-follow and very flexible. Depending on your dietary needs, you can make the below variation or try a gluten-free or meatless version instead. "Proof" yeast by pouring the dry yeast, sugar and warm water into a large measuring cup or bowl. Stir together lightly and then allow to sit for 10 minutes. Yeast mixture should rise a little. While yeast mixture is proofing, cook ingredients for the inside of the hot pocket. 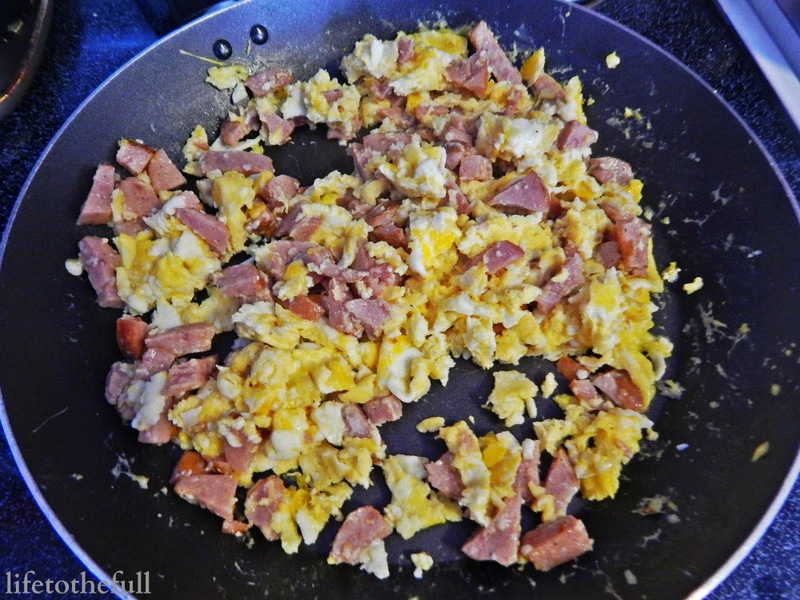 For ours, I'm frying up the eggs and sausage together. 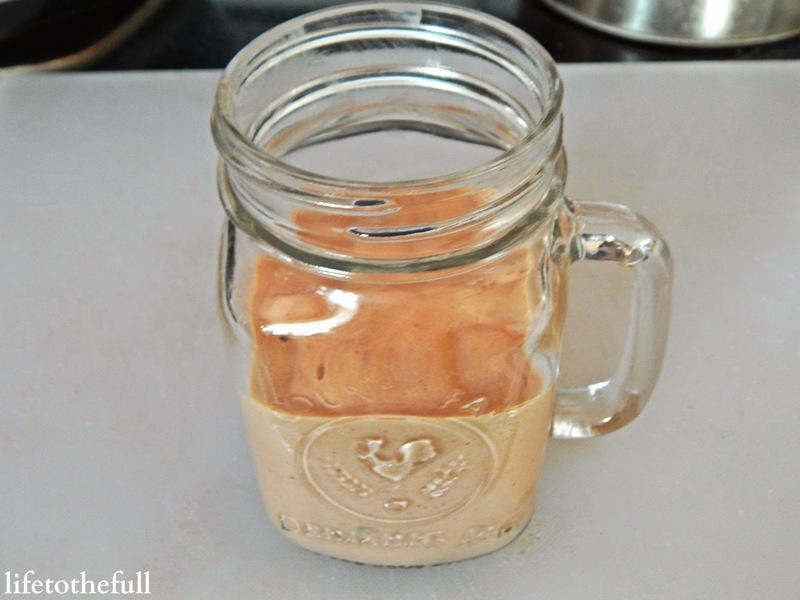 When the yeast mixture has risen for 10 minutes, pour into mixer. Add oil and salt (I also add in a sprinkle of garlic powder). 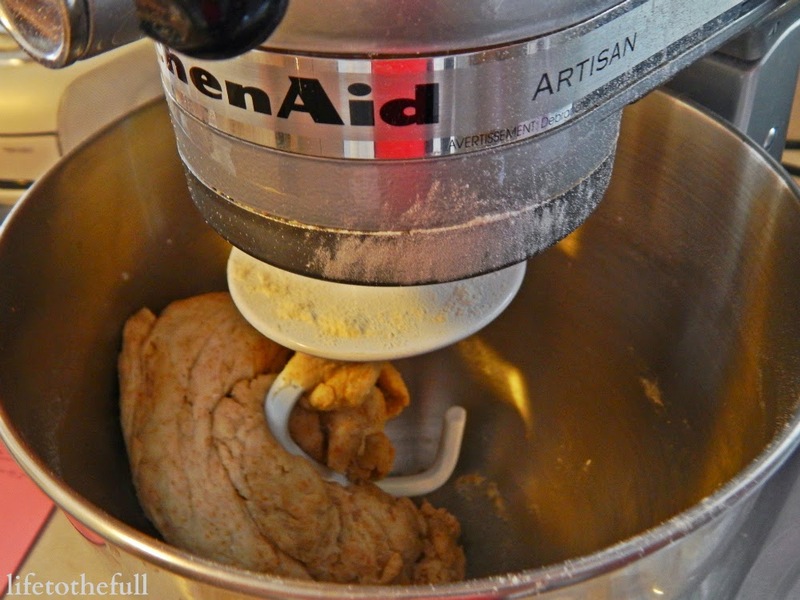 Gradually pour in the flour and mix. I take the dough directly from the mixing bowl and stretch it out by hand (because I'm too lazy to roll it). 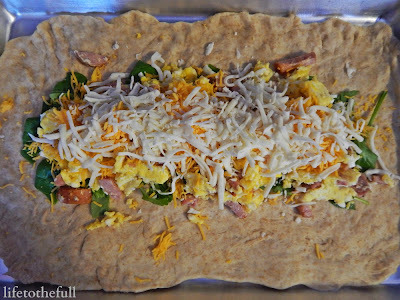 Lay the dough out on a greased baking pan and layer with inside ingredients. When the hot pocket is fully loaded, fold the short sides up first and then bring the long sides together. 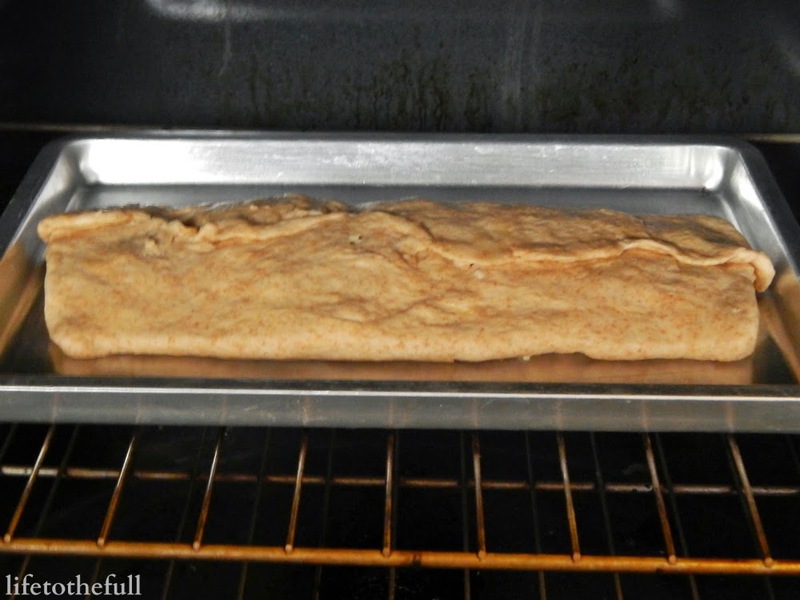 Pinch the dough together to make sure it doesn't open while baking. Bake in preheated oven for 15 to 20 minutes. 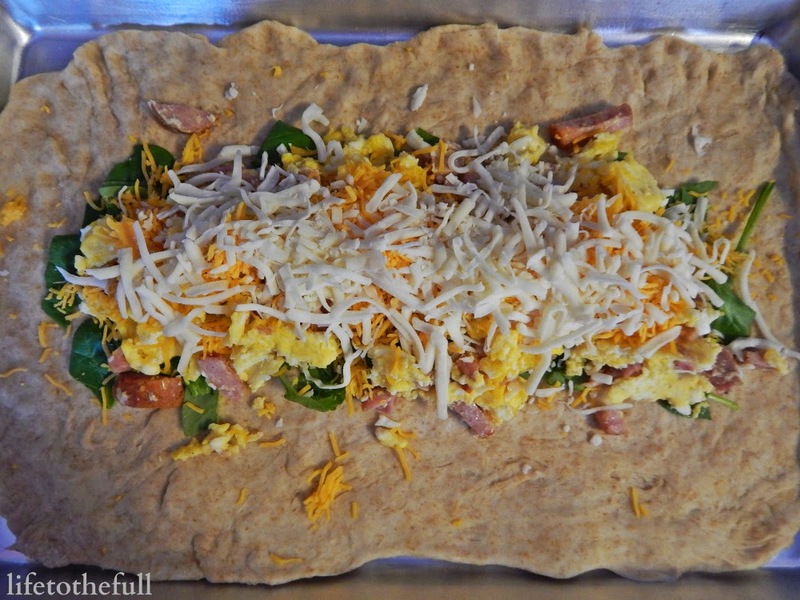 Crust should be a golden brown. Allow to cool for 5 minutes. Cut into slices and serve! 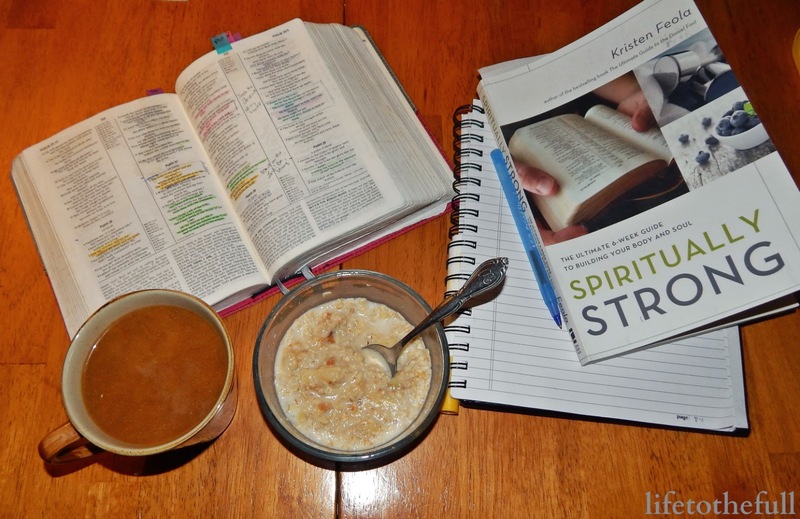 TWO: The Spiritually Strong online Bible study starts on Monday! I've been reading ahead and this study has been teaching me so much about spiritual and physical discipline. Can't wait to start! Feel free to join in the study - this book is totally worth it. FOUR: We're back on a smoothie-kick this week. Today E and I shared this creation: half a banana, 1 cup frozen strawberries, half cup peaches, 1 cup greek yogurt, a handful of spinach and half cup milk. Toddler boy didn't even notice the spinach! FIVE: Baby #2 and I are running on into the third trimester! The weekly average is ~13 miles per week with a pace of about 9:50~10:00/mile. The 4 days of running + 2 days of strength training routine has been the ticket for me this time around. What's new with you this Friday? Have a family favorite recipe to share? Today is a very special day because it's E's second birthday!!! 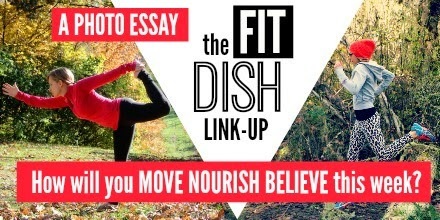 The term "Move, Nourish, Believe" is the Lorna Jane philosophy. Check out her site movenourishbelieve.com for more details and inspiration. My Inspiration to "MOVE NOURISH BELIEVE"
As a parent, each day we have countless opportunities to teach our kids. 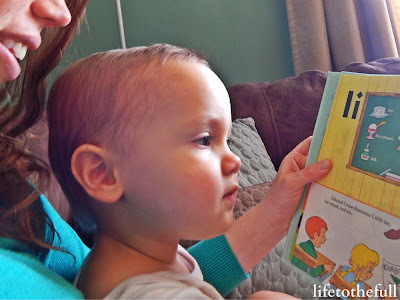 What I didn't realize was how much our child would be teaching me! Just ran a half marathon? No excuses, mom! Climb, climb, climb! MOVE. If E isn't sleeping, he's running... climbing... crawling... jumping... you name it. No matter how old we are, we should never lose our sense of adventure! I need to stay in shape just to keep up with this kid. 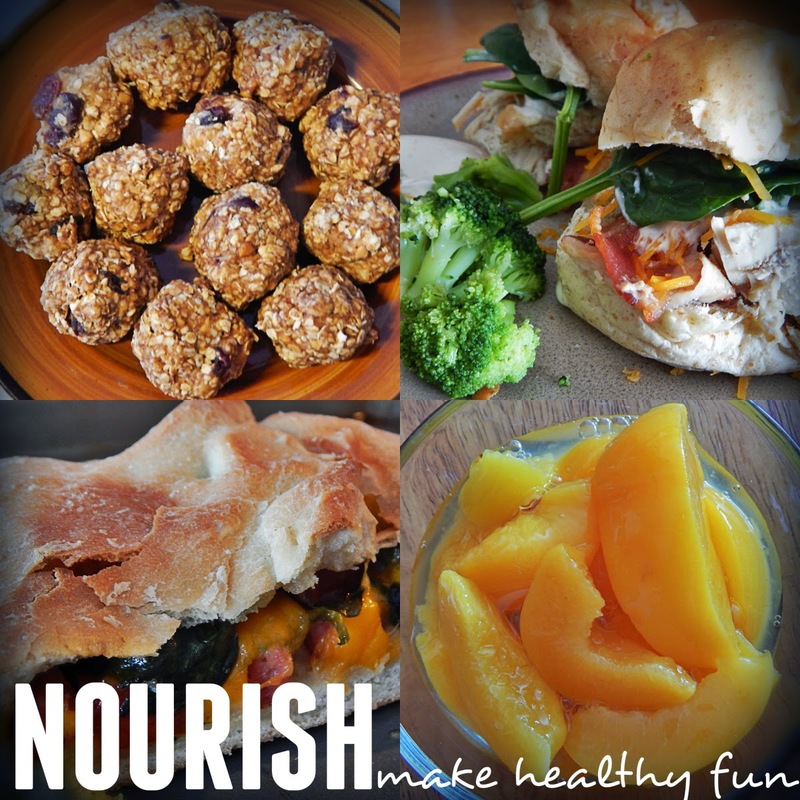 NOURISH. 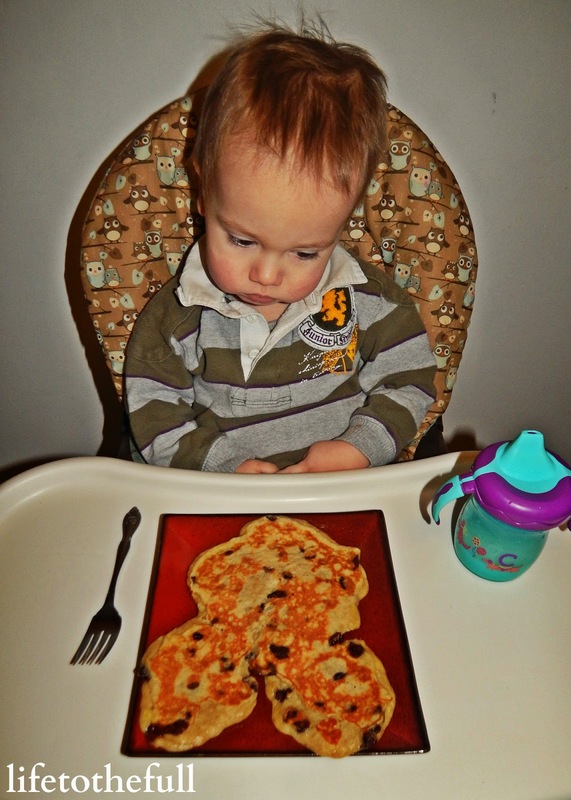 This new world of picky-eating toddler-hood has taught me to get more creative with my cooking and to make healthy food fun. E has taught me to think out of the box for new meals and fun ways to serve them. Anything to sneak in one little bite of veggies... anything!!! BELIEVE. The most valuable lesson I have learned from E is how to have child-like faith. E depends on mom and dad to do what is best for him, to take care of his daily needs and to protect him. 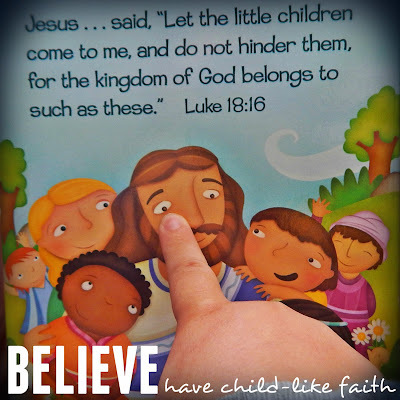 God calls us all to have faith like a child. I need to depend on God for everything just as E depends on Leo and I for survival. Happy birthday to our baby boy! We are so thankful to have this crazy character in our lives! How will you MOVE NOURISH BELIEVE this week? Do you have any special birthday traditions?